So I was in Frankfort overnight and saw some pretty cool stuff. First was a Lotus Europa in someone's front yard. I had a meeting to get to, so no pics, but it doesn't look like it's going anywhere so I'll get one next time. 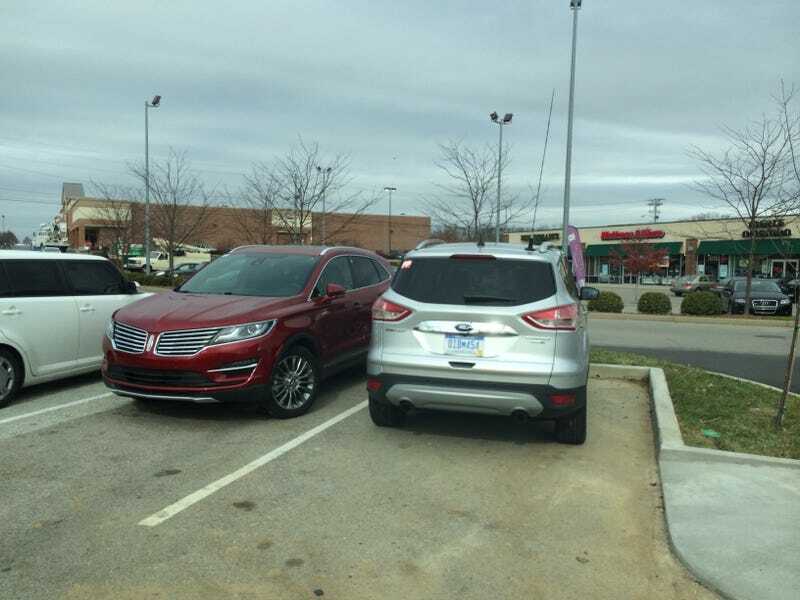 Then, today there were 2 MKC's and an Escape in the Panera parking lot. They were all wearing Michigan manufacturer tags. They are built in Louisville, so I suppose it makes sense, but I've never seen a Michigan M plate here in the Ville. Frankfort is an hour away. Anyway, for an SUV it was very attractive. There is a pic attached, as long as Kinja for iPad decided to come to work today.